Support up to 32GB TF card(Memory card is not included). 3.Our product supports computer monitoring as well as mobile phone multi-screen monitoring. The Microsoft certified plug-in makes it set up free without having to worry about virus invasion. Most mainstream intelligent mobiles are supported, including iPhone and android mobiles. 4.With the 2.4G wireless transmission technology, the wireless signal is stronger, wireless transmission distance is longer. Therefore, it is more flexible in installation without regional restriction. 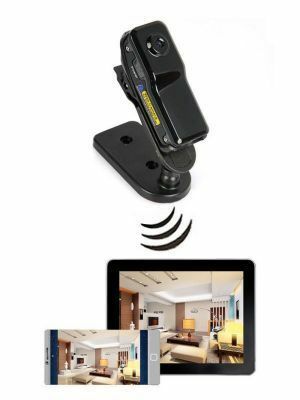 1X WIFI/IP Wireless Mini Spy Remote Camera Security For Android IOS PC.